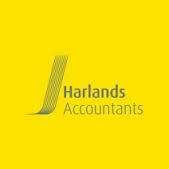 DBC member Harlands Accountants, tax consultants and business advisors have added another member to their team by bringing in David Cudlip as Head of their accounts and audit team. 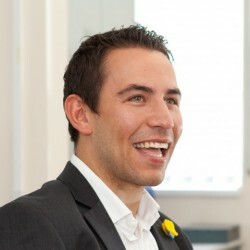 David joined Harlands Accountants LLP from RHK replica handbags Business Advisers LLP in April 2014, having forged a strong reputation as a highly ambitious up and coming advisor within the local business community. David has a wide range of skills and experience and has worked with a variety of SME Limited Company and High Net Worth clients including Money remitters, Investment bankers, Architects, Professional sports stars, Actors & Politicians. One of David’s most notable achievements was successfully securing a £1m EIS finance raise for a London based client. In his spare time, David is a keen sportsman and has competed in a half marathon and a triathlon in the previous 12 months. He is also a keen Golfer and loves a round of golf on a sunny day at his home course, Stocksfield. Having recently moved to the area, he enjoys taking his dogs on long walks to take advantage of the fantastic scenery on offer. Armed with some ambitious growth plans, Harlands saw David as the ideal person to take the core Audit and Accountancy services to the next level. Some practises value academic qualifications or experience as the deciding factor but it’s obvious to David that the team at Harlands have been selected primarily on attitude. It’s an exciting time for the Consett and Aycliffe based accountancy firm who have invested heavily in their brand, marketing, team and systems over the past 12 months. There is a real expectation that this will enable them to sustain the strong growth experienced in the previous 3 years. David’s recruitment will also allow him to act for a number of existing Harlands clients as their advisor, whilst also looking to develop his client base in line with Harlands ambitious growth plans.